Report by W. Wertelecki, M.D. This account summarizes events that led to the creation of the Ukrainian Alliance for the Prevention of Birth Defects and forthcoming programs to monitor birth defects in two regions of Ukraine under the sponsorship of the United States Agency of International Development. Included also is a report of a visit by an international team of birth defects experts and the March of Dimes, who visited Ukraine during the Spring of 1998. These events represent the result of long standing efforts by the members of the Department of Medical Genetics of the University of South Alabama and Ukrainian counterparts under the aegis of the Ukrainian Ministry of Health. Birth defects are a leading cause of infant mortality, as well as a main source of lifelong human disabilities. Mental retardation alone burdens at least 3% of human beings. Advances in genetics, environmental sciences, public health and other disciplines have impacted public perceptions. Thus, it is increasingly recognized that birth defects can be prevented and that the fate of those afflicted can be greatly ameliorated. In the U.S., the efforts by the March of Dimes and by many others, induced the U.S. Congress to enact the 1988 "Birth Defects Prevention Act" (S419) which calls for " ... collect, analyze and make available data on birth defects ... to provide information and education to the public on the prevention of such defects ... establish and maintain a National Information Clearinghouse on Birth Defects ...". A similar mandate is applicable to Ukraine. In Ukraine, the natality rate has plummeted from 15.5 births per 1,000 population (1977-80) to 9.7 per 1,000 population (1993-94) representing nearly a 38% decline. Such dramatic demographic changes reflect dramatic problems or at least dramatic perceptions of problems. The Chornobyl nuclear power plant disaster contaminated 41,000 square kilometers or the equivalent of 15% of the Ukrainian territory. Pollutants by virtually unregulated industrial sources violate air quality regulations in at least 18 of 52 Ukrainian cities.2 Raw waste water on the order of 1 million cubic meters is dumped into the environment annually. Heavy industries associated with ore processing, chemical works, and the military, produced and continue to produce vast amounts of waste which are dumped untreated in landfills. 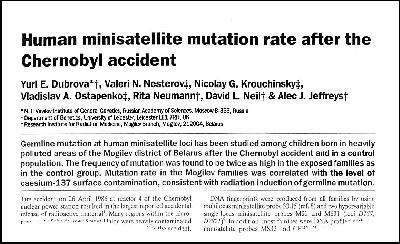 The recent report of increased constitutional genetic mutation rates, attributed to the Chornobyl accident and published in the reputable journal, "Nature" (Dubrova, Y.E. 380:683, 1996) has reinforced public perceptions of genetic risks to Ukrainian children existing now or to be conceived. Deteriorated water supplies, lack of access to vitamins, iodized salt and other micro-nutrients such as folic acid, which are essential for normal embryonal development, compound public awareness of reproductive risks in Ukraine. Admittedly, the reasons for the dramatic decline of birth rates in Ukraine are multiple and complex. Early predictions, particularly by those who tended to minimize estimates of the biologic consequences of Chornobyl and who branded public concerns as "radiophobia" have eroded public trust in radiobiology experts.3 The veritable on-going epidemic of radiation-induced childhood thyroid carcinoma and current concerns that it may be followed by radiation-induced childhood leukemia reinforces public distrust and concerns. Regarding birth defects in Ukraine, contradictory statements and claims have been made. Some experts reported that there were no measurable effects attributable to the Chornobyl disaster while others are convinced that in some regions impacted by Chornobyl radiation or other forms of pollution, birth defects rates have reached epidemic proportions. In any case, parents and prospective parents should know if the frequency or types of birth defects in Ukraine are different from those elsewhere. Ukraine can answer such concerns by adopting international monitoring standards used by member nations of the International Clearinghouse for Defects Monitoring Systems. With credible birth defect data, implementation of health care and prevention programs will be facilitated. Regarding international linkages, the USSR purposely centralized such activities in Moscow and this legacy serves well the current Russian Federation. However Ukraine, as a country long denied independence but now a newly independent state, must forge international linkages and partnerships with limited resources at its disposal. My initial acquaintance with Ukrainian health care specialists was greatly facilitated by events organized by the World Federation of Ukrainian Medical Associations, ably headed by Dr. Paul J. Dzul. Promptly, it became obvious that Ukrainian health care leaders were committed to introduce reforms and establish international partnerships. Formal and informal discussions with Drs. Andriy M. Serdiuk, the current Ukrainian Minister of Health (then Director of the Scientific Center of Hygiene of Kiev), Ihor R. Baryliak (Coordinator of Genetic Services for Ukraine), many Ukrainian medical geneticists and with countless others, framed a vision and ideas to be adopted as an agenda to address the question of birth defects in Ukraine. In parallel, the importance of electronic information technology was discussed with Dr. Oleg Yu. Mayorov, who with other colleagues advocated the creation of the "Ukrainian Association of Computers in Medicine". This society, now headed by Dr.Victor M. Ponomarenko, as President and Dr. Oleg Yu. Mayorov as Chairman of the Scientific Counsel, links Ukraine with similar organizations in the world. Among inaugural steps taken to link Ukrainian specialists in birth defects with their international counterparts, two deserve to be highlighted. 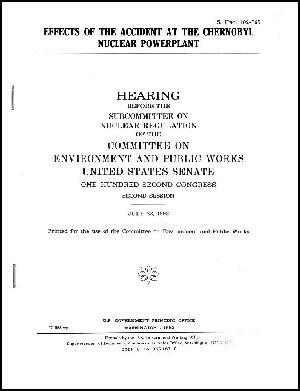 A distinguished Ukrainian-American scientist, Dr. Michael Kasha, suggested that I should accept an opportunity to testify to the U.S. Senate concerning Ukrainian children and Chornobyl. This event established a basis for an on-going dialog with U.S. legislators. A second inaugural step was taken by Dr. Andriy M. Serdiuk, who welcomed the suggestion to organize an encounter in Lviv for Ukrainian specialists to meet with Dr. Michael Katz, Vice President for Scientific Research, March of Dimes National Foundation. 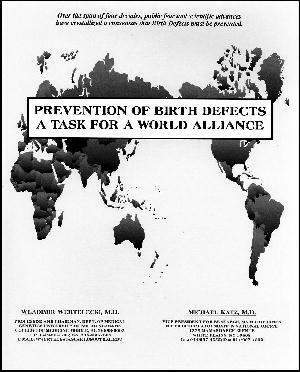 At the time, Dr. M. Katz was organizing the World Alliance for the Prevention of Birth Defects. During the first formal meeting of the World Alliance, held in The Hague, Netherlands, a manifesto was drafted and Dr. M. Katz was inducted as the first President. Inducted as Vice President and Secretary/Treasurer were Mr. Ysbrand S. Poortman and Dr. W. Werteleckyj, respectively. At the conclusion of the conference in The Hague, I traveled to Kiev under the sponsorship of the March of Dimes to initiate the planning to expand international linkages with Ukraine. One suggestion was to explore the framing of a visit to Ukraine by an international team of experts in birth defects. Plans for a visit to Ukraine by international experts were discussed with members of the American-Ukrainian Medical Sciences Group (Drs. Tatiana T. Antonovych, Larissa T. Bilaniuk, Myroslaw M. Hreshchyshyn, Michael Kasha, Ihor J. Masnyk, A.D. Mosjiczuk, and W. Werteleckyj). A conference was held in the Ukrainian Embassy in Washington during which Drs. I. J. Masnyk and I introduced Dr. M. Katz to Ambassador Dr. Y. Shcherbak and discussed prospects of a visit to Ukraine. Another conference was held during which Drs. Michael Katz and Jennifer Howse (President of the March of Dimes) exchanged views with Drs. Oleg Yu. Mayorov and myself. This account would be deficient without alluding to the unstinted support of the leaders of the Cancer Federation, Inc. of Banning, CA, members of the Ukrainian Medical Association of North America, the University of South Alabama, the staff of our Department of Medical Genetics and many other who remain anonymous. We would also like to recognize the support of area physicians and the residents of rural counties in South Alabama who formed "Helping Hands International", an organization that provides humanitarian assistance to Gorlovka, Ukraine and which has sponsored the health care of Ukrainian children in need of eye care or restorative surgery due to burns. This organization is headed by Mr. K. Payne with Dr. W. Werteleckyj as Medical Director. One Alabamian stands out, U.S. Representative Sonny Callahan, who stepped forward to assist Ukrainian orphans and others needing help. Mr. Callahan introduced language into the foreign assistance bill (H11910) which states in part "...fear of birth defects in the regions affected by the Chornobyl accident ... The managers encourage ... support programs to reduce birth defects ... in affected regions ...". 1 W. Wertelecki and M. Katz. "Prevention of Birth Defects. A Task for a World Alliance": Acta Paed Sin:3, 1996 and Jpn J Hum Genet 40; 295, 1995 and Medico Interamericano 5; 185, 1995 and J Ukrainian Med Assn 42; 137, 1996. 2 K.Baverstock. "Chernobyl and Public Health", BMJ: 316; 952, 1998. 3 G. Widney. 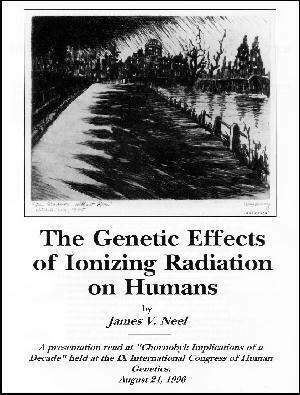 "Dealing with Chernobyl's Genetic Legacy", Lancet 348: 748,1996. This site offers information mostly for educational purposes. This site is not intended to alter health care protocols nor to serve as a sole source of medical information. Please read full disclaimer. Always seek the advice of your local health care provider. Copyright 1998 - I.B.I.S. All rights reserved. Sponsor: I.B.I.S. | Site Concept: W. W., D. C. | Page Content: W. Wertelecki, M. D.